Help your school get ahead of changing expectations and technologies with AvePoint Learning Management System. Enable lecturers to deliver personalised, immersive, and collaborative learning for today and tomorrow. Empower your administrators to leverage latest, transformative technologies without the extra overhead. 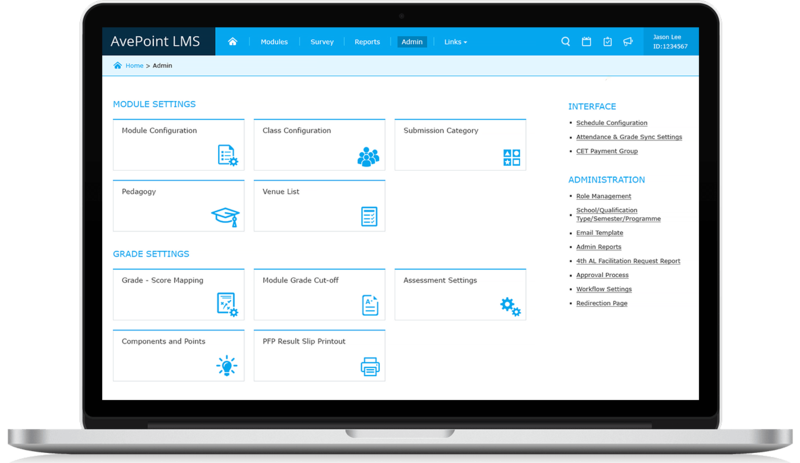 AvePoint LMS makes it easy for course managers to set up for each semester/intake. Every semester, managers can rest assured their courses will run without a hitch. 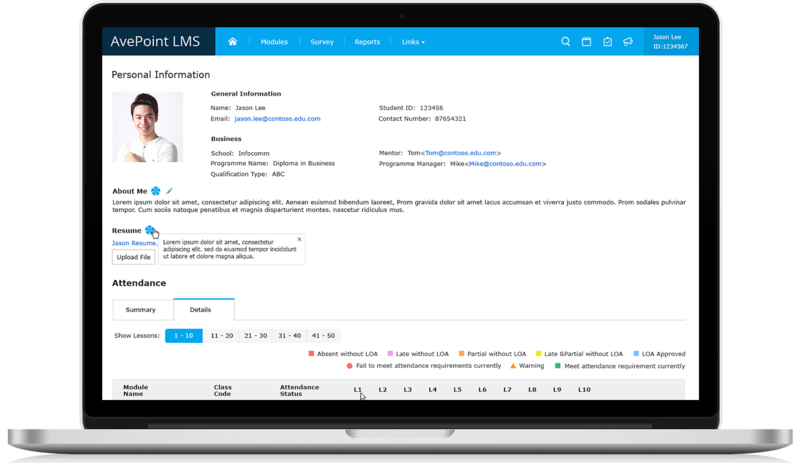 Lecturers can focus on teaching and student care, with a LMS as easy to use as AvePoint. 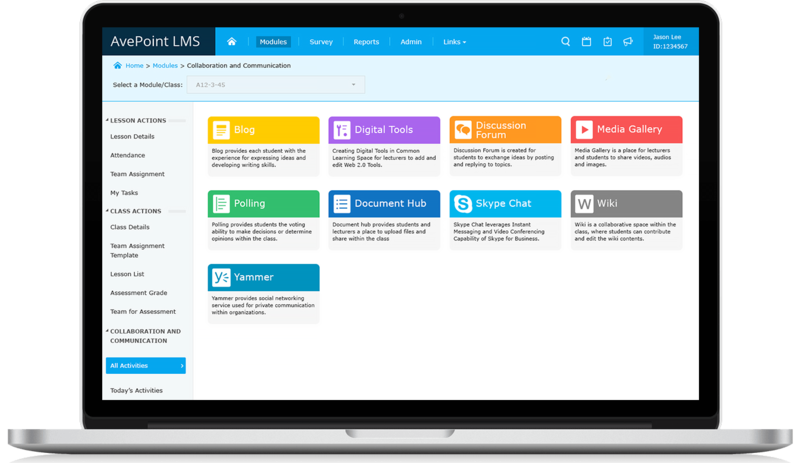 With the familiar & intuitive interface of Office 365, AvePoint LMS offers richer integrations and features that help creating engaging learning content. 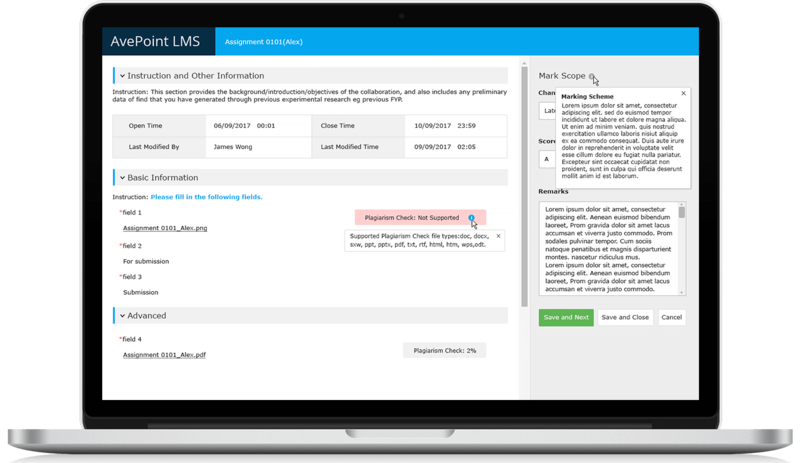 AvePoint LMS on Office 365 helps administrators offer more, richer features to their schools without the extra overhead. 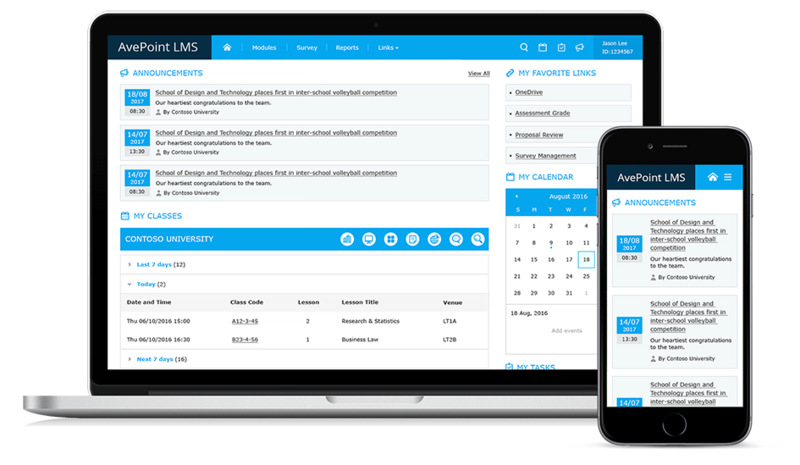 AvePoint LMS has all the mobile, social and interactive features that students love, enabling them to learn at their own pace and on-the-go. Give your team bandwidth to focus on what is important: exploring and adopting cloud technologies to support new ways of learning. Let AvePoint support the rest.